One story that I used to illustrate the shift was the story of Ronald J. Sider‘s influential sermon to the 1984 assembly of Mennonite World Conference in Strasburg, France — a story captured in today’s Photo Friday installment. 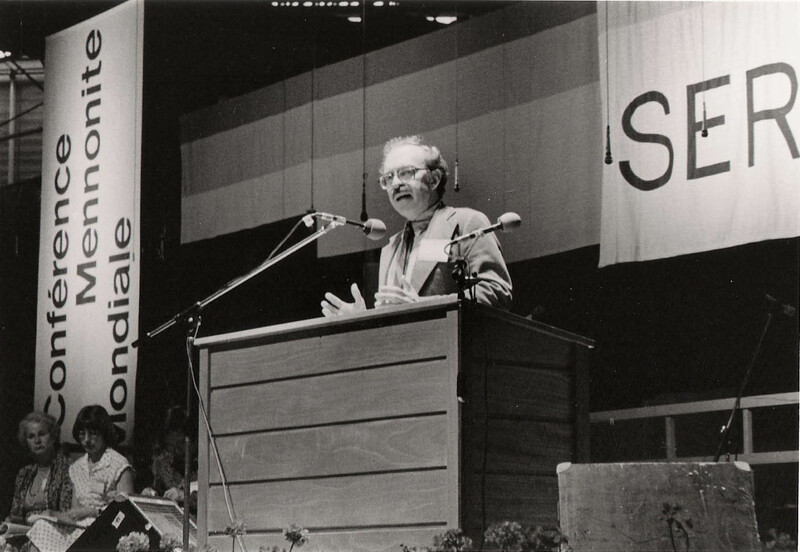 At the 1984 assembly, Sider — a Brethren in Christ theologian and educator, and author of the influential Rich Christians in an Age of Hunger (1977) — challenged his Anabaptist audience to consider new forms of peacemaking. 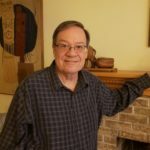 His talk was driven by the historical currents swirling around him and his fellow Global North Anabaptists: by the early 1980s, “low-intensity” wars, rising rates of global terrorism, and other politicized uses of violence and oppression. 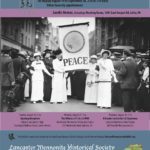 For the last three decades, radicals and other leftists in America and around the world had increasingly turned to the techniques of Gandhian nonviolence to address injustices and stimulate positive, peaceful change. 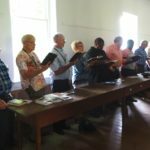 Mennonites and Brethren in Christ alike were looking for new ways to express their peace convictions. If we want wars to be fought, then we ought to have the moral integrity to fight them ourselves. To vote for other people’s sons and daughters to march off to death while ours safely register as conscientious objectors is the worst form of confused hypocrisy. . . . Everyone assumes that for the sake of peace it is moral and just for soldiers to get killed by the hundreds of thousands, even millions. Do we not have as much courage and faith as soldiers? [Sider] suggested that a praying and caring peacekeeping force of 100,000 Christians be trained and ready to stand between warring parties in such places as Central America, Northern Ireland and Southern Africa. Though the organization developed out of a Brethren in Christ theologian’s speech, its initial sponsors were Mennonites, Church of the Brethren, and Quakers. Today, it positions itself as an ecumenical body. What does any of this have to do with the semantic shift in Brethren in Christ language about its peace position? Sider’s speech argues that Christian peace activity should be active, not passive. It should focus on what we do, not on what we don’t do. It called for a kind of nonviolent army, a group of peacemakers who would be willing to risk their lives in order to bring God’s peace and justice to situations of violence and oppression. He also invoked language like “justice” — terms that would have been foreign to the nonresistant Brethren in Christ (and Mennonites) of an earlier generation.